MV AGUSTA has bounced from one owner to another ever since the firm was revived by Claudio Castiglioni nearly 20 years ago and it’s hit financial strife again. The latest situation comes despite a massive increase in sales and turnover, largely because that sales boost has been driven by investment in new models and increasingly competitive pricing. Although we don’t know precisely what the firm’s profit margins are, the latest news from Varese suggests they’re not wide enough. At the moment, the firm has asked for something called ‘concordato di continuità’ – an agreement of continuity – which is a form of protection against creditors. It effectively allows a breathing space, freezing loans and stopping the firm from falling into bankruptcy. To gain the agreement, the firm needs to show to the courts that remaining in business will be in the interests of its creditors, and that they stand to do better from it than they would if the firm was made bankrupt. 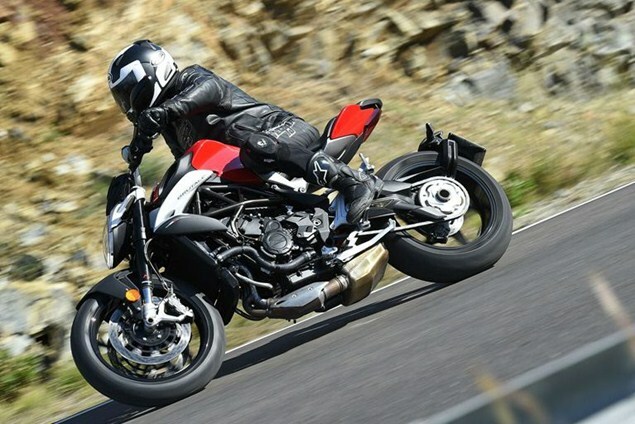 While it sounds bad, the news comes after some incredible growth from MV Agusta. It’s seen a growth of around 30% in its turnover in 2015, at around 100 million euros, as well as a 30% increase in sales. That outperforms a market for its machines that the firm says has grown by only 12% over the same period. MV points out that 15% of its turnover is ploughed back into R&D to help ensure the upward sales trend continues. However, it hasn’t revealed the bare figures below these percentages and its decision to ask for protection to stop creditors from stepping in suggests that the bottom line is inked in red. At the moment the firm says it’s working on a restructuring plan that will ‘generate positive growth returns for its stakeholders’ (according to its press release on the matter.) In short, it’s working on a plan to become profitable. With one of the strongest brand names in motorcycling as well as an increasing broad, modern and capable model range, it seems unlikely that MV will be allowed to die. The firm’s restricting plan is due to be presented in April. It’s expected that it will include a reduction in production and some layoffs. But despite the doom and gloom it’s worth remembering that MV Agusta has survived far worse situations in the past, passing though several changes of ownership – Proton and Harley-Davidson have been some of the bigger names to own the company – and now Mercedes AMG has a significant 25% stake in the business.